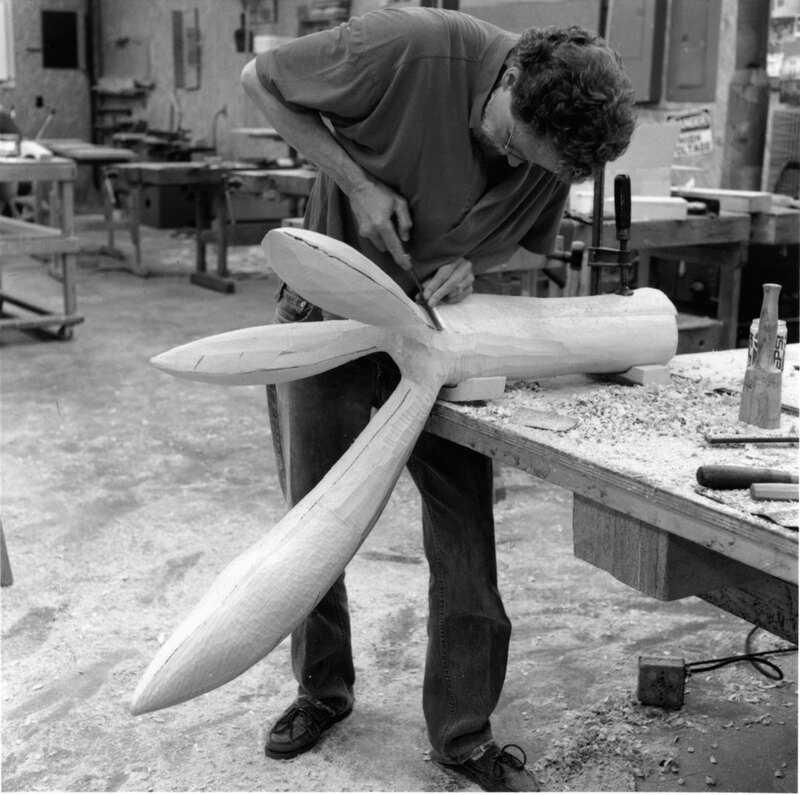 Wendell Castle (1932-2018) is a furniture maker based in Scottsville, NY. His furniture designs in wood, plastic and bronze are unique creations that blur the boundaries between function and sculpture. 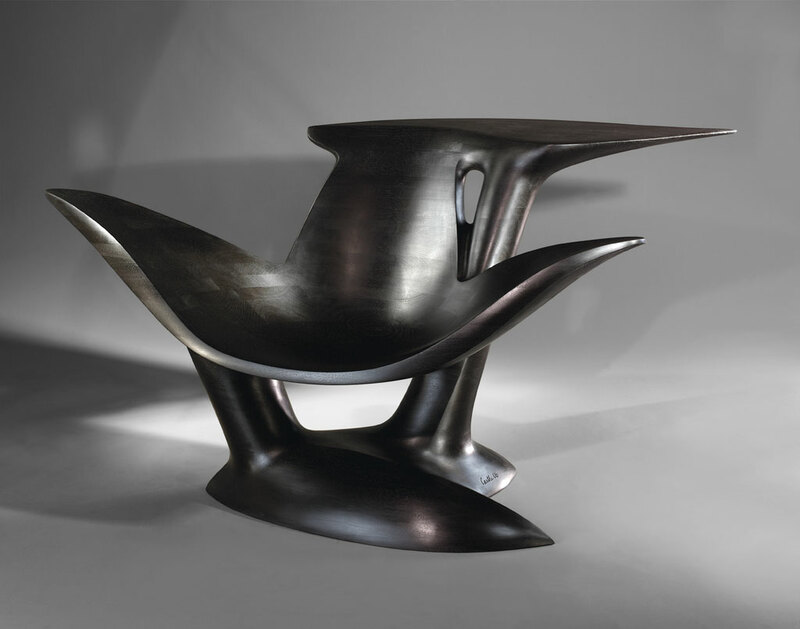 Born in Emporia, KS, he graduated from the University of Kansas with his BFA in Industrial Design and MFA in sculpture. His academic appointments are numerous and his inclusion in one-person and group exhibitions as well as permanent collections is extensive. His work can be found in the Museum of Arts and Design, the Metropolitan Museum of Art, the Mint Museum of Art, Museum of Fine Arts, Museum of Modern Art, among others.